Atlantic Superior left Pier 26 this morning where she spent the winter, and headed for National Gypsum in the Basin. 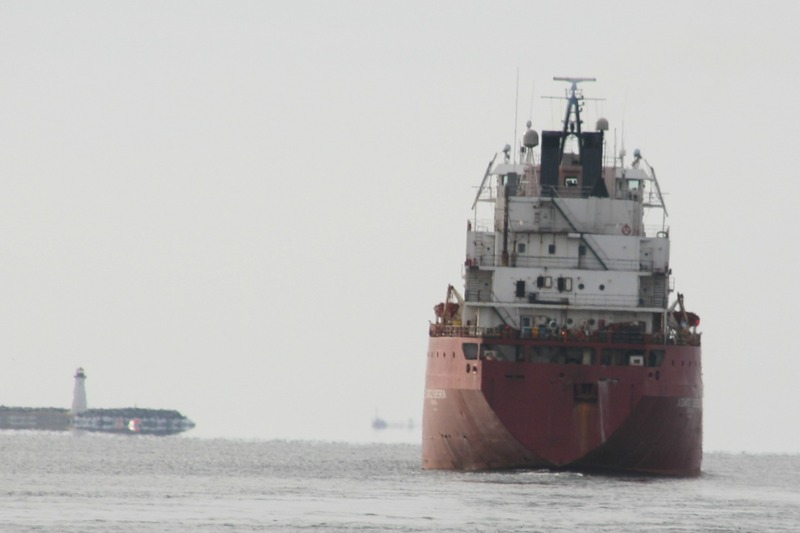 As vessel who sails the ocean, but also spends a great deal of time in the great lakes, Superior ties up for 4 months when the St Lawrence Seaway is Icebound Inland of Montreal. The 4 month closue allows ships to undergo a period of maintinace, without affecting schedules. The Seaway is set to open march 22. Atlantic Superior is bound for Montreal, ETA 0600 on the 22nd. This entry was posted in bulker, CSL on March 18, 2013 by Peter Ziobrowski.